then you can recording high quality digital music works easily, no longer need any additional equipment. 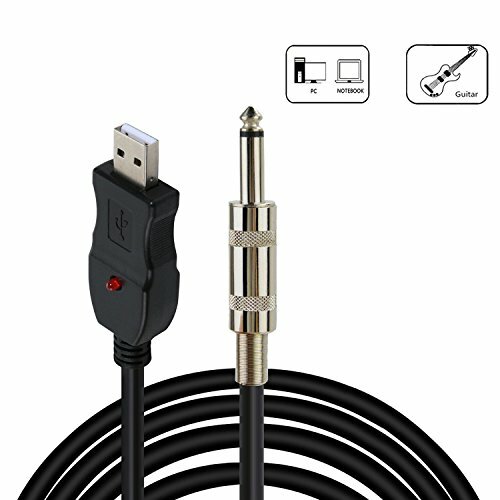 Simple USB 2.0 plug and play connection without additional driver, just plug it in your instruments or microphones, electronic organ,star recording hd digital music. High quality professional shielded cable and 6.5mm jack. Embedded A/D convert with audio singal boost. Red indicator light flash indication when signal is being transmitted,enjoy the music on stage. [WARRANTY]: Rest easy with VALINKS's 12-month Worldwide Warranty if there exists quality issues,please contact our service team directly for help.